Plus, he rode with Stirling Moss in a C-type in the 1952 Mille Miglia, drove a 190mph works D-type in the highly dramatic 1955 Le Mans, raced in the Goodwood 9 Hours, and set an amazing 173 mph production car record at Jabbeke in Belgium with an XK 120. Completing over a million test miles at 100mph-plus average, Norman Dewis also played a crucial role developing the revolutionary Dunlop disc brake, and survived high-speed crashes and roll-overs in the days before seat-belts – and without ever breaking a single bone. 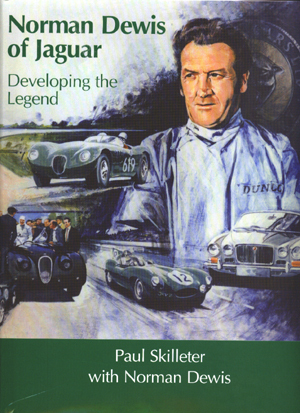 Filled with personal insights and fascinating technical details, this book tells the unique story of a great Jaguar character and the equally great cars he worked with.